Strip away the myth and tradition, and get ready for an eye-opening journey into the real life of this amazing person who changed the course of world history. You will meet a man of profound wisdom and kindness, strength and character, with purpose and commitment to a cause greater than any other. 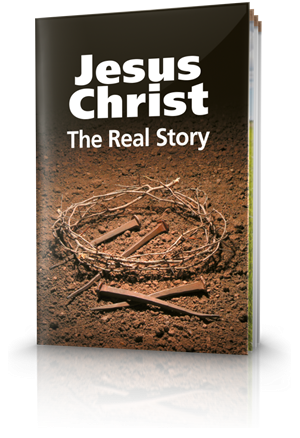 What is the real story of Jesus Christ? Who - and What - Was Jesus Christ? Who, really, was Jesus of Nazareth? Where did He really come from? If we understand that, it explains everything He did and said. When the early followers of Christ say Jesus is the One through whom all things were created, they are clearly saying that Jesus is God. Jesus Christ was the Rock of the Old Testament. Jesus Christ accurately fulfilled the prophecies that were written hundreds of years before His birth. The awesome destiny of mankind is to become part of God's family. An amazing prophecy in Daniel 9:25 gives the specific year the Messiah would appear. A careful analysis of Scripture clearly indicates that December 25 is an unlikely date for Christ's birth. Jesus lived a sinless life filled with miracles. Miracles do indeed happen. In Christ's case, the Father answered His every prayer and backed up His every command. Did Jesus Really Die and Live Again? One of the greatest proofs that Jesus is exactly who He said He was-the Son of God and the only One through whom eternal life is offered-is His resurrection from the dead. Crucifixion wasn't always carried out the way we've seen it typically depicted in paintings and pictures. When Was Jesus Christ Crucified and Resurrected? How can we fit three days and three nights between a Friday-afternoon crucifixion and a Sunday-morning resurrection? Examine what the Bible really says. 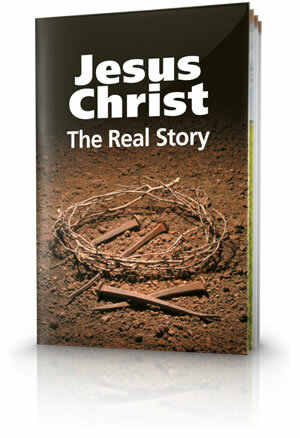 View the chronology of the crucifixion and resurrection of Jesus Christ. Do Other Non-biblical Sources Confirm Jesus Christ's Existence? Why is there so much controversy over one man? The simple answer is that He claimed to be God-and from the record was able to support that claim. Was Jesus a Created Being? Jesus was not created. He existed from eternity along with God the Father. How could someone who is spirit, having lived for all eternity in the past, become human? Was Jesus a human being just like us? And when He was a human being, was He still God? When we read the Gospels carefully, we see a number of family connections that help us better understand certain events. Most people assume that Jesus had long hair. But is that accurate? Jesus Christ's mission and teachings were misunderstood by most of those who saw and heard Him. What Do 'Messiah' and 'Jesus Christ' Mean? Both Christ and Messiah mean anointed or anointed one. Do we really know the real Jesus? Do we really know what He is doing? Are we really preparing ourselves to be accepted and rewarded by Him when He establishes His Kingdom? And what is that Kingdom all about? Salvation is hardly ever explained the way Jesus explained it. Jesus expressed the idea of salvation and eternal life in terms of entrance into the Kingdom of God. Although most often called the Kingdom of God, occasionally other terms are used in describing the Kingdom. The common view is that the teachings of Christ in the New Testament annulled and replaced the teachings of the Old Testament. But do they? Jesus upheld the entire law by becoming the sacrifice for sin. The following passages in the New Testament confirm, either explicitly or by example, that Jesus and the apostles viewed the Ten Commandments necessary for true Christian living. In addition to the biblical Sabbath day, Jesus observed the biblical festivals recorded in the Old Testament; the Gospels do not show Him ever being accused of violating the Holy Day observances. The question that should be asked is, who really caused the death of Jesus Christ? We need to comprehend the significance of Christ's crucifixion. Why was this event so important that three of the Gospel writers mentioned the tearing of the Temple Veil? What is Jesus Christ like today? The Bible reveals that we each have a date with destiny when we will face Jesus and give account of our actions. This is the time God's people through the ages have longed and prayed for: Your kingdom come. Hi there, Everyone here is sharing their thoughts. I usually pay a quick visit this webpage daily. Hi everyone, I would accept any teaching that is wholly and totally based on the Bible alone... the "thus says the Lord" notion. God bless.